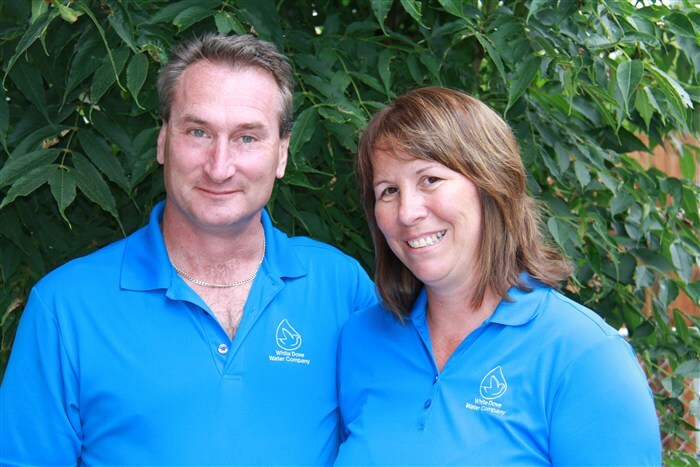 We are very excited to share our journey in this water Business with you! Sheldon and I have over 14 yrs of experience to bring to our customers and look for forward to learning & sharing in the future! Our water treatment products from Ecowater Canada Ltd. are first in the “Top of Line” for they have been awarded 1st in receiving the Zero Footprints TM. Certificate of compliance! We want to pass on the Hope for Clean Water and Green Future TM to our customers. We stand firm in believing Customer Service is number 1. We also want to build a good customer relations with you and listen to what you are sharing with us! Educate our customers in the always changing quality of water ! Do our utmost to bring the best quality of products & service to meet the needs of our customers! To keep you (customer) in the news of water as it changes all the time!